Liverpool FC on the Rise? So far this English Premier League (EPL) term has been wonderful. As a Liverpool fan that has seen more downs than ups in recent years, the current state of things is rather encouraging – Liverpool is tied for first place after seven matches. Furthermore, the devils of Manchester are finding it painful transitioning from that minion of Satan, Alex Ferguson, to his hand-picked, Gollum-resembling, successor, David Moyes. When you factor in the slow, brittle look of Tottenham’s backline, the off-kilter play of Chelsea, the uncertainty of Pellegrini’s approach at City and the weakness of Arsenal’s finishers, this season could truly be a breakthrough one for Liverpool. There are certainly places where LFC could improve (I won’t pretend that there aren’t), but the evidence early on is that this season will be a vast improvement on the seventh, sixth, eighth and seventh place finishes of the last four seasons. Considering the long history of greatness LFC boasts, these poor, mid-table results of the last four years have been rather remarkably accepted by the fans. Though the fans certainly aren’t “okay” with finishing that low in the table, it seems understood by the vast majority of LFC fans that, in the current football climate, true organizational change takes place over a period of years. Therefore, apart from hundreds of millions of pounds sterling flooding the Anfield coffers from some rich new owner, there is likely not going to be an overnight change. Now, things haven’t been smooth sailing for the Reds and the majority opinion of LFC fans has waxed and waned over the last few years to the point where I don’t think that most of the other football fanatics out there quite understand us. In fact, I was reading an article recently which gave the impression of each EPL club held by a large polled audience. The words for Liverpool given by those polled were along the lines of “deluded”, “past their prime”, and “no future.” While you could see why this might be the impression, you will have to excuse the majority of Reds fans for their current optimism. The reason LFC fans have more or less been comfortable with the situation in the last few years is quite simply that things could be so much worse. I’ll attempt to explain by adding some background. If we use Rafael Benitez’ reign as manager as a baseline (though many things could be added from previous regimes), we can quite easily see the things which went wrong and, consequently, what was done to arrest the slide and fix the problems in the last couple of years. 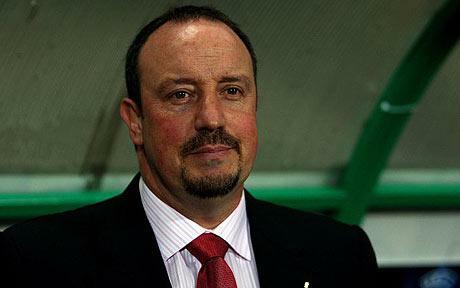 Rafa came into his managerial position at Liverpool and experienced immense success early on. He won the 2005 Champions League in his first year due to a masterful stroke of managerial prowess (substituting Dieter Hamann for Steve Finnan at halftime was a gutsy and match-altering decision which overloaded AC Milan’s midfield and turned things in favor of the Reds, overturning a three-nil deficit). He also won the 2006 FA Cup his next year and then took LFC back to the Champions League Final the following year. In 2007-08 Rafa’s LFC finished fourth and in 2008-09 he and LFC came within four points of un-seating Manchester United for the title (I’m sure he would have if Gerrard and Torres hadn’t traded off injuries at inopportune times during the season). The following year – Rafa’s last – the team finished a disappointing seventh, kicking off the run of four bad finishes. The reason Rafa is still venerated by the Reds’ faithful, in spite of that last season, is because the most recent fall from the top of the table was quite clearly in spite of, not because of him. The cracks had developed upon the horrible twin disasters of the 80s: Heysel and Hillsborough. The former led to a ban of Englis h clubs from European competition and the latter led to King Kenny stepping aside from his Liverpool post. With Kenny stepping down, the “Boot Room” culture (a continuing series of managers being developed from within) established by Bill Shankly faded and the guidance of the club was given to lesser leaders (until Rafa). This also coincided with the downturn in the fortunes of the once great economic power of the city of Liverpool and the club owners found themselves floundering in increasing debt. As the finances of LFC began to tumble, the value of the squad also diminished. This was compounded by poor player purchases and even more unfortunate player management. Finally, two Yankees named Tom Hicks and George Gillette came in and purchased the club. Originally it seemed that they were willing to shell out the money required to get Liverpool back to its former glory. But as time went on, and in spite of Rafa’s best efforts to fight it, the player staff was continually raided to service obligations and the once-deep squad was hollowed out to a good starting XI but a pitiful bench. 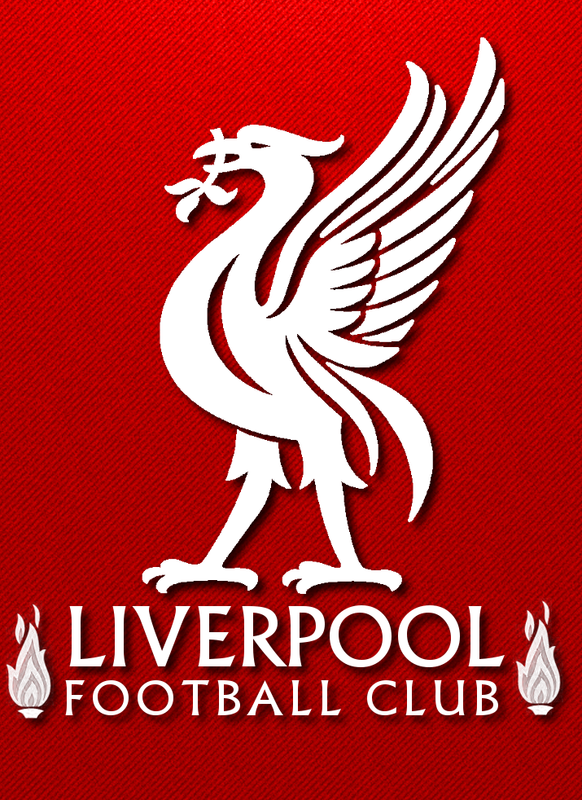 Hicks and Gillette used the proud club name to saddle Liverpool with debt. Meanwhile, they reaped the rewards of scraping the meager commercial revenues into their own personal coffers. Finally, with Rafa’s comments in the media starting to point the finger of responsibility at them, Hicks and Gillette sacked Benitez. The Hicks and Gillette situation was bad enough for the Liverpool fan at the time, but when combined with the unceremonious dismissal of Rafael Benitez, things were rapidly coming to a head. When H&G (as they were coming to be known in shorthand by the disgusted Reds’ fanbase) appointed Roy Hodgson as the replacement for Rafa, the die was cast. Enormous numbers of Kopites began protesting the owners vehemently. The yelling and frustration only mounted as the abject style of boot-the-ball-down-the-field, Hodgson play sent Liverpool to the depths of the league well before October. But even more powerful than the cries of the fans were the warnings of the creditors. Several of the largest creditors for H&G began calling in their loans and with LFC on the brink of bankruptcy, Fenway Sports Group (FSG), headed up by John W. Henry and Tom Warner, purchased the club and immediately began a campaign of mending the situation both on the pitch and on the balance sheet. There were a few false starts on the way, including the over-valuing of talent and the appointment of an ill-fitting Director of Scouting early on. However, slowly but surely, the FSG model has taken shape and we can see quite clearly the intentions and philosophies of FSG metastasizing themselves on the pitch and in the LFC business offices. Commercial revenues are up, a plan is in place to improve Anfield – adding 15,000 seats and several luxury boxes – and the club is now in first again, albeit after only seven matches. And that’s why my pessimism has given way to optimism: things could be so much worse than they are now! We could still have H&G skimming money and value off the top of the LFC books, we could still have the abject and miserable on-field displays made famous by Roy Hodgson, and we could still have a hollowed-out and aging squad taking the pitch every week … but we don’t. In a little more than three years, FSG have nearly wiped out all debt, sacked Hodgson, hired a young, dynamic manager in Brendan Rodgers and purchased players wisely. The good start this season is a direct result of prudent investment and patient building. Aging players with massive salaries have been shown the road, while youthful, hungry and promising players have been brought in for fractional pay to fill their spots in the squad. The youth academy is going gang-busters and is finally starting to churn out the talent that blessed the squad in the 80s and early 90s. This is a perfectly understandable and logical question from those on the outside looking in, so let me do my best to answer with a few reasons which I see. First, FSG seem to have finally figured out a good system of player scouting, recruitment and negotiation. After essentially giving old heads like Kenny Dalglish and Damien Comolli free reign to purchase players in the first two transfer windows while FSG got their sea legs, they have now implemented a transfer committee setup which seems to be decreasing not only the number of duds purchased, but also decreasing the costs associated with their purchase. Notice that in the first window after FSG purchased the club, Kenny and Comolli bought Suarez (£23M; probably the best-spent £23M in a while) and Carroll (£35M; about twice as much as he was worth). Then, in the second window, Dalglish and Comolli bought Downing (£18M; about twice as much as he was worth), Borini (£10M; a little more than he was worth), Enrique (£7M; a fair amount), Allen (£15M; about twice as much as he was worth) and Henderson (£17M; about twice as much as he was worth at the time – though I’d probably be happy paying that for him now). Though it looks like they are batting about .500 with those purchases (Suarez and Henderson being a hit, Allen being okay and Enrique being a capable, if not spectacular LB) in actuality Dalglish (who is completely absolved for his part in this – due to his history with the club) and Comolli overspent so enormously that our purchases of that short era are looked at with incredible disdain/dismay. However, when the transfer committee stepped into place in the winter of 2012 the improvement was drastic. The first window yielded Coutinho (£7.5M; utter highway robbery for his youth and skill) and Sturridge (£15M; a young goal machine who was rotting on the Chelsea bench). The second window – which just concluded – gave us, Toure (free; an incredible value for his ability and experience), Mignolet (£8M; excellent signing) Aspas (£8M; decent for his effort and potential), Alberto (£6M; potentially a steal), Ilori (£6M; potentially a steal), and Sakho (£16M; excellent value for his potential and ability). Though it is still too early to tell for sure, my first impression is that Toure was the perfect guy to fill Carragher’s shoes, Mignolet has just about made me forget Reina (one of my favorite LFC players of the past six years), Aspas could potentially be another Dirk Kuyt, Alberto could end up being a fantastic fill-in for Coutinho in short order, Ilori can potentially fill three positions (CB, CDM and LB), and Sakho could be one of the top five CBs in the world within a year or two. Each purchase made by the transfer committee filled a need in a primary position as well as a secondary position, while making the team younger, hungrier and faster. 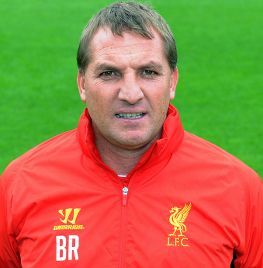 Second, Brendan Rodgers has developed a pragmatic streak. When Rodgers was hired, he came in and immediately changed the philosophy of Liverpool. It wasn’t necessarily ill-advised (we had been playing a possession-style game under Dalglish), but it might have been a tad too much too quickly. Instead of making incremental change from the stable-on-defense-quick-wing-attacking 4-4-2 of Dalglish, we began playing a high-pressing-ball-possession 4-3-3. Rodgers’ talk about which is the best system with the current LFC manpower seemed to stop at whether or not to “flip the pyramid” of midfielders from a 1-2 to a 2-1. This season however, Rodgers started with a very stable 4-2-3-1 and then changed to a very under-utilized 3-5-2 once the number of excellent CBs on the roster jumped and Suarez returned from suspension. Though I harbor no illusions about Rodgers giving up on his preferred type of play (and do not, in fact, want him to give up on it), the level of flexibility and, as I called it before, pragmatism he has employed this season is refreshing and exhilarating. He has decided to subordinate what he wants in the long term for the maximization of our abilities in the short term. Third, we are finally winning close matches. One thing which has plagued us over the last few years is not putting matches away when up by one goal. That penchant has sadly not completely gone away, but we are starting to come out on top in the vast majority of close matches. This indicates to me that the hunger has increased and that the mentality has strengthened. It’s something indefinable that has now been solidified. The idea is best illustrated by the fact that when a club like Aston Villa or Stoke punches you in the mouth and then keeps coming, a club like Liverpool should be able to ride their superior skill to victory – and we have done that early this season in a way which was clearly absent in the previous four. After the last two league matches (against Sunderland away and Crystal Palace at home) ending in three-nil victories, now Liverpool are pairing more goals scored to their close victories of matchdays 1-5. All of this is significant in that it may bode well for the shootouts that are likely to come at some point in the season against teams in the upper tier, such as Arsenal, Chelsea and Tottenham. Fourth, the playing personnel are now flexible. When Rodgers took over the club was filled with rather good Plan A people, but they rarely were able to make any changes once Plan A failed. For example consider Stewart Downing (a player I like, but who never really furnished a “wow” factor in Red). He was a pretty decent winger, whether playing on his strong left side or cutting onto his left foot from the right side, who worked very hard for the team, but he never really provided anything through imagination. I believe that’s why we sold Downing. It certainly wasn’t for a lack of effort on his part, so it had to have come down to him costing too much for what he provided. His replacements on the wing are notable in their opposing strengths and weaknesses. Moses is good on the wing, but is more than simply a dribble-to-the-by-line-and-cross-it-in player, he has guile and shiftiness with the ball at his feet. Sterling and Ibe are raw, but their youth in comparison to Downing is a positive in that it equates to potential. Alberto and Aspas, while not natural wingers, are quite capable of playing on the outside in the 4-3-3 system that Rodgers favors (as well as a 4-2-3-1) and offer more of a goal threat whether through positioning, close-passing or finishing. The Downing dichotomy is illuminating because it illustrates the type of player preferred by Rodgers and the transfer committee. Flexibility, interchangeability, close control, passion, hustle and technique are the order of the day as opposed to specialization and power. It is the tactical and strategic equivalent of a change from the hacking and swinging of a broadsword fight to the thrust and parry of fencing. Fifth, the system is sustainable. The players LFC are purchasing are the best players of B-level teams or the just-can’t-get-a-break players secondary options of A-level teams. Here are two good examples: 1) Aspas may never be quite the player for LFC that he appeared to be with Celta Vigo, but he was totally worth the attempt for the money. In his final two seasons with Celta he scored 35 goals in 68 appearances. Though most of these came at the Segunda level of Spanish football, they illustrate his ability to put the ball in the back of the net. If Aspas were to score at half this rate with Liverpool, that equates to ~9 goals per season which is a huge return for a player who cost less than £8M. 2) Purchasing Mamadou Sakho for £16M may seem a steep price, but he is a player who at only 24 years old already had over 200 senior level appearances with PSG and 14 caps with France. These examples are essentially players flying under the media’s radar – and so conceivably under the majority of top clubs’ radars – due to their less-than-stellar clubs (in the case of Aspas) or due to their status as third choice for their top club (in the case of Sakho). 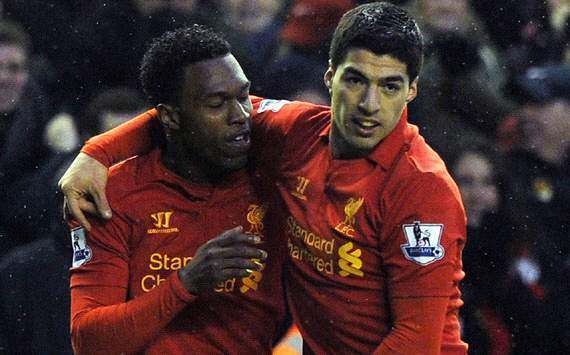 Both are capable performers and were lured to LFC by the chance to play (illustrating their hunger). What’s more, they cost LFC a fraction of what would have been required for established starters at clubs viewed as more attractive than LFC right now. Bargain hunting can be dangerous, but it can also be sustainable if done correctly. LFC’s transfer committee are the arbiter therefore of which players in these two categories of limbo from which Aspas and Sakho escaped are worthwhile. The committee holds the key then to a sustainable model of player recruitment which might lead to re-establishing the club amongst the league’s elite. Finally, Liverpool are only competing in the three English competitions this season … and have already been knocked out of one of those (League Cup). Without European competition muddying up (though I’d be happy with a little of that mud) the mid-week schedule, Liverpool have a bit of a leg-up on their immediate competition right now. Especially when considering that this is a transition year where the club is a little short in the depth department, you have to view the lack of extra matches as nothing less than a blessing in disguise. If we suppose that Liverpool make it to the Quarterfinals of the FA Cup, that will mean that they will have played an extra four matches on top of the 38 EPL matches. Add in the two matches already played in the League Cup and that takes the total number of Liverpool matches played in 2013-14 to 44. Whereas other top clubs competing in Europe also, even if they also only played six cup matches, would likely be playing a total of 52-56 matches – which is another eight to twelve weeks of short rest over the long season. Those are the six main reasons why I am optimistic about LFC’s chances this season. Though I’ve been optimistic at other times during the last four years, my optimism waned almost every other week. During the past two months however (since the season began), my optimism has been growing with each successive match. Even the loss against Manchester United in the League Cup provided more reason to be positive – as we dominated them from start to finish at Old Toilet. My sanguine attitude about Liverpool still might be shattered by injury, poor officiating, beach balls (see Sunderland match 2011) or any mixture of the three, but the fact remains that the things which are under LFC’s power have been changed for the better … it’s time to watch the rise of the Liverbird once more. To all of my fellow Liverpool footy fans out there: You’ll Never Walk Alone!